Celebrate the 21st annual Antiques in the Streets & Classic Car Show on Saturday, Sept. 7th, 2019 from 8 a.m. to 4 p.m. in historic Downtown Albany. Spend a day leisurely strolling the streets. Buy fresh produce and baked goods at the Farmers’ Market, admire over a hundred vintage cars in the Classic Car Show, and browse through oodles of antiques up and down Broadalbin, on display from vendors hailing from all over the Northwest! Vendor wares range from glassware to furniture, dolls to fishing tackle, quilts, clothing, jewelry, and more! We’ve expanded our location to cover all of Broadalbin Street from First Avenue to the Courthouse. Need a break for lunch? Try out any of our amazing downtown restaurants. Experience all of this and more while enjoying live music from local musicians. Proceeds from the Classic Car Show go to ABC House, Child Abuse Intervention Center. Vendor and classic car owners who would like to reserve a space, please contact Sharon at Albany Antique Mall, 541-704-0109. 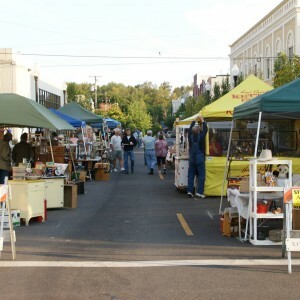 You can also download an Antique Dealer Contract or Car Show Participant form at www.albanyantiquemall.com. Like us on Facebook.